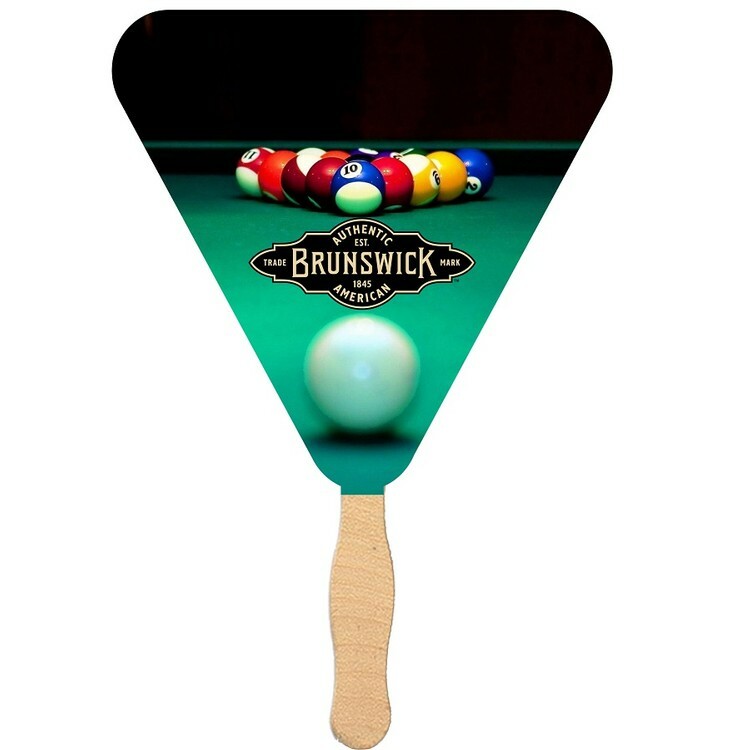 Handheld mini triangle shaped fan laminated for a high gloss finish. Custom packaging with four color printing and laminate on one printed side. Please call for two sided fan pricing. Promote your brand at games, events, services, corporate events, etc. on this pocket size portable billboard! Even call us to create your own unique shape!